School bus safety has been at the forefront of the news lately. Despite the recent media attention, school buses are actually a relatively safe mode of transportation. According to the U.S. Department of Transportation, less than 0.5% of all automobile accidents since 2003 have involved school buses. 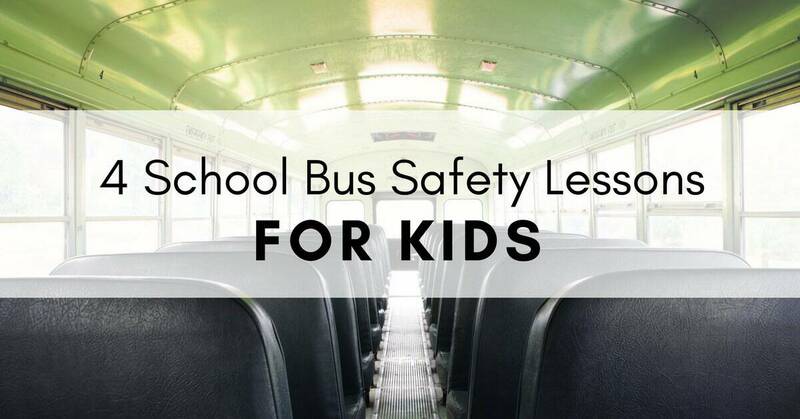 Still, it never hurts to remind your children about some simple ways that they can stay safe when they’re riding the bus. Make sure your children know the safest route from your house to the bus stop. It’s best if they can walk on the sidewalk, but if one is not available you should teach your children to walk at the left edge of the roadway so that they can clearly see oncoming traffic. Remind your children that they need to wait in an orderly line to get on the bus, and that roughhousing at the bus stop is never okay. Children also need to be taught what to do if the bus doesn’t arrive (for example, wait ten minutes past the scheduled pick-up time and then go with Jimmy to his house). The bus needs to come to a complete stop, and the doors should be open, before any students move to get on or off the school bus. Practice holding the handrail while going up and down the stairs; they can be especially slippery in the winter months. The most important way to stay safe on a school bus is to stay seated, facing the front and with legs and arms safely inside the seat. For obvious reasons, no body parts should ever poke out of the bus window! The aisles also need to be kept clear in case of a quick evacuation. Equipping your student with a favorite reading book, MP3 player or even smartphone is a great way to keep them seated and occupied during the bus ride.